A couple of years ago, I wrote an article for Kids Activities Blog on how to get gum out of hair. The article included a picture of Rachel...with gum in her hair. 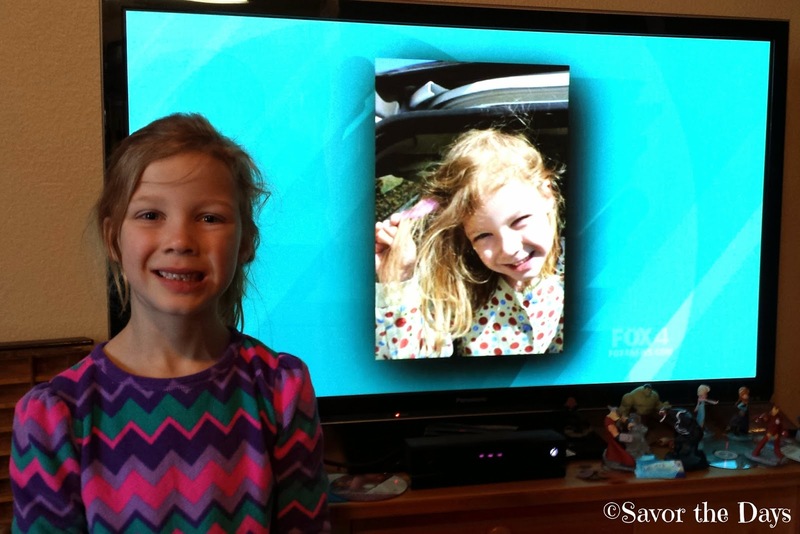 Recently the Dr. Oz Show contacted me to get permission to use Rachel's picture on the show. Dr. Oz was putting together a show on the many uses for olive oil and one of those uses is to get gum out of hair. Rachel was so excited to watch the show and see herself on TV! Fortunately there has been no other instances with gum in her hair!